This pattern still takes people's breath away - lots of pieces, but constructed one element at a time. Make this quilt for someone you cherish! This was a very popular Mystery quilt here at the shop. Made in a medallion style, the quilt is a lot of work, and not for the faint of heart, but is absolutely gorgeous when you're finished. You can choose to make a pieced center or an appliqued center. Instructions are included for both, and also for making the quilt in three different sizes: Wall, Throw or Queen. 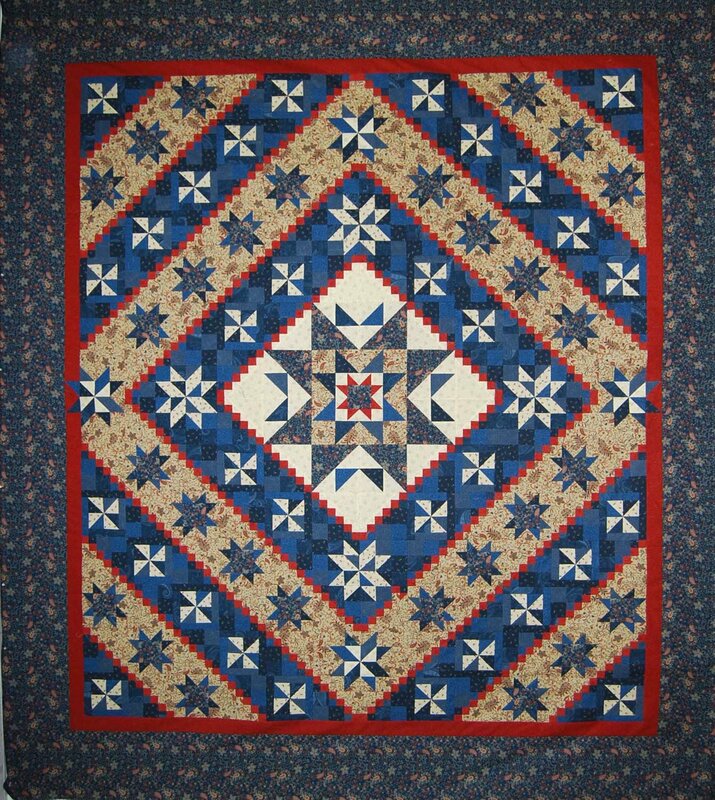 Yankee Pride's mystery patterns include a bit of a bonus - we give you guidance on your fabric choices - something lots of quilters find a bit difficult. Click here for information on yardage and fabric selection.